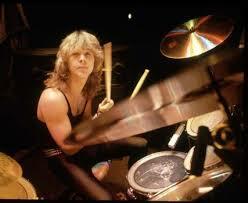 Sad to hear the news that former Iron Maiden drummer Clive Burr passed away on March 12. He had been living with Multiple Sclerosis since the mid 90’s. Wether you get Iron Maiden and their crypt keeper looking mascot Eddie, there is no denying their influence on Heavy Metal music. Clive was a big part of their early success. Here’s to you Clive, RIP!